HomeNEWSTechConnect 2018 Defense Innovation Awardees Announced! 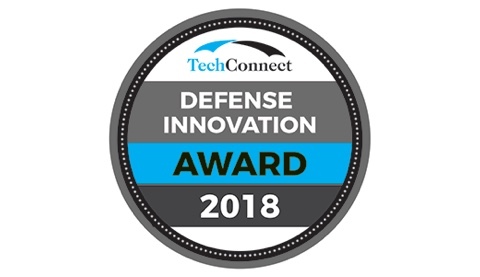 TechConnect is proud to announce the 2018 TechConnect Defense Innovation Awards recognizing its top submitted Challenge technologies based on the potential positive impact for the warfighter and national security. These innovation awardees will all pitch their technologies to expert reviewers during the 2018 Defense TechConnect Summit & Expo, October 23-25 at the Tampa Convention Center. The Defense TechConnect Summit is co-located with the 6th annual Defense Innovation Technology Acceleration Challenges (DITAC 2018). These Challenges deliver the nation’s largest technology prospecting program, connecting state-of-the-art solutions with National Security needs. The joint programs are additionally co-located with the annual SBIR/STTR Fall Innovation Summit and the Fall Smart Cities Connect Conference and Expo. Through these joint programs, TechConnect brings together the entire innovation ecosystem, from startups to VCs, from industry prospectors to defense S&T leadership, all focused on accelerating state-of-the-art technologies into the hands of warfighter. “We have an amazing group of technologies showcasing to a powerful consolidation of military, government and industry leadership at the Summit, creating the nation’s premier Defense Innovation program,” notes Dr. Matthew Laudon, CEO of TechConnect. The 2018 Defense Innovation Summit will include participation and presentations from key national security offices, commands and components including: US SOCOM, US CENTCOM, US INDOPACOM, US DOD, US Army, US Navy, US Air Force, and US Marines. To register for the event, and to view all of the innovators, awardees, and full-program, visit https://events.techconnect.org/DTCFall/.